How do customers and / or stakeholders proceed from one to the next? How should the journey look and feel like? Which motives, requirements or fears need to be addressed? services. 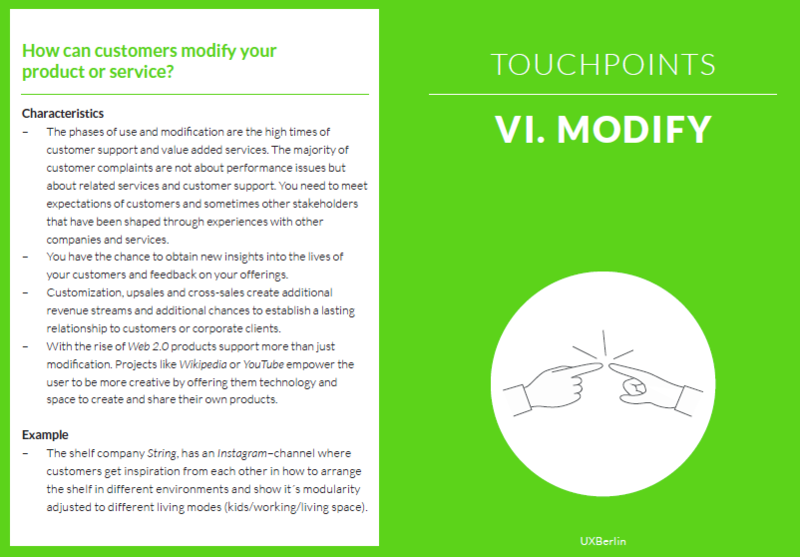 Alternatively start collecting ideas for each touchpoint. and original quotes from customer feedback or internal staff.